The Social Determinants of Health - The Solid Facts was first published by the World Health Organisation (WHO) in 1998. The goal was to promote awareness, informed public debate and action on the social determinants. The report drew on an extensive range of scientific evidence to support its claims. At about the same time, the third phase of the Healthy Cities Program was being rolled out by the WHO. The WHO European Healthy Cities Network is still operating today, and aims to put health high on the social, economic and political agenda of city governments. The Healthy Cities Program includes health considerations in economic development, regeneration and urban development efforts and has successfully helped to shape the social determinants debate internationally. In 1999, the Department of Health and Ageing commissioned a study on the social determinants of health titled Socioeconomic determinants of health: towards a national research program and a policy and intervention agenda (principal author Gavin Turrell, Queensland University of Technology. in association with the Health Inequalities Research Collaboration). 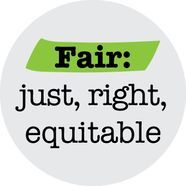 make a number of preliminary recommendations about the development of a national health inequalities research program and a policy and intervention agenda. Across Australia different state and territory governments were picking up the language of social determinants. Queensland Health led with the development of the social determinants of health support packages, a series of fact sheets produced for policy makers outlining key messages and policy implications across the determinants. The Public Health Information Development Unit (PHIDU), located at The University of Adelaide, was also established in 1999 and funded by the Department of Health and Ageing to assist in the development of public health data, data systems and indicator monitoring. A major emphasis of their work has been the development and publication of small area statistics for monitoring inequality in health and well-being. Their website contains 120 indicators describing inequality in a range of indicators of socioeconomic status and health status. A quick examination of their indicators reveals that a social gradient exists in Australia, as it does elsewhere. Australia is not immune to this phenomenon. In 2007, South Australia adopted a “Health in All Policies” (HiAP) program to promote policies across all sectors of government to address social determinants of health and reduce health inequities. The program is led by the Department of Premier and Cabinet and is linked to a range of goals in South Australia’s Strategic Plan. For South Australia, HiAP starts from the recognition that the determinants of health lie largely in the policy domains of non-health sectors of government. It is therefore crucial for the health sector to positively engage with these other sectors to ensure sustained action on the social determinants of health. The HiAP program provides a mechanism for agencies to jointly reflect on a particular policy issue, and work in a collaborative and deliberative way to determine issues and take timely policy decisions. The HiAP process builds on traditional health impact assessment methodology. It seeks to facilitate joint exploration of policy problems and issues. 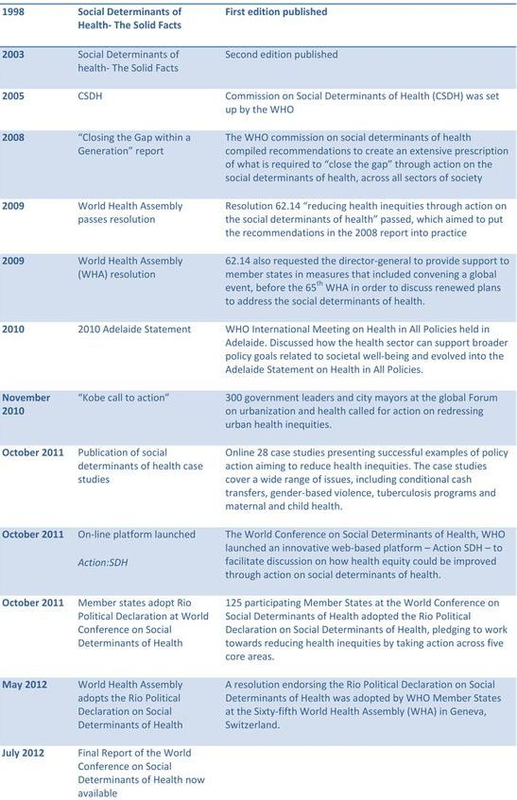 In 2010, the WHO and the government of South Australia jointly issued the Adelaide Statement on HiAP, providing succinct advice on how to develop and strengthen the approach on the basis of equity. After the 2010 Adelaide Statement on HiAP, health ministers from south-east Europe pledged to focus on health equity in all policies; health ministers of the Pacific Islands countries committed themselves to adopting multifactorial action to improve health; and more than 300 government leaders and city mayors at the Global Forum on Urbanisation and Health (held in Japan in November 2010) committed to the “Kobe call to action for redressing urban health inequities”. The HiAP approach resulted from consultations with member states and experts, reflecting current thinking on policy formulation and ways to engage leaders and policy makers in improving health equity. Action on HiAP is one of the key recommendations from the meeting this year in Geneva of the World Health Assembly. Government and other funding for research addressing social determinants of health.